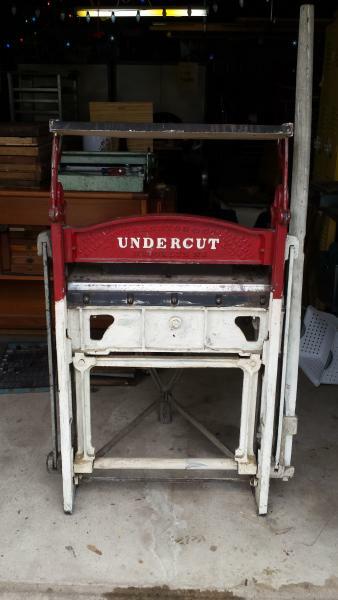 We have an extremely unusual paper cutter we’d like to get into a good home. The cutter says Cranston & Co Undercut, Brooklyn, NY. We don’t know much else about it, how it works, or if it has all the pieces. Feel free to share info with us if you would like. 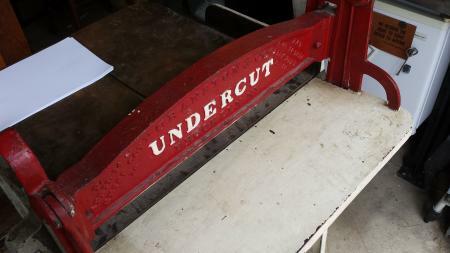 The blade on this cutter comes up from underneath, rather than from above like in traditional guillotine cutters. This is a manual, not electric, cutter. 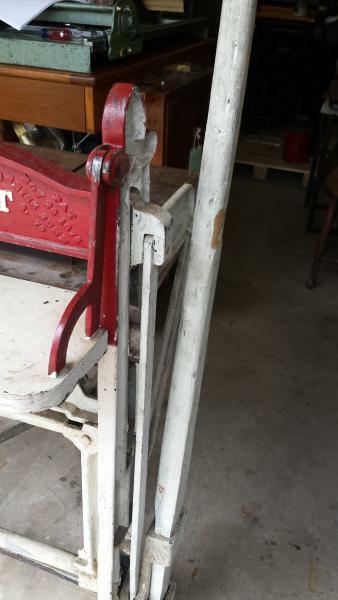 Any reasonable offer accepted, and are willing to discuss donating to a museum. Must be picked up from our studio in Des Moines, Iowa.